In the social media marketing roundup of this week, I’ve included blog posts about Twitter, Facebook, Instagram. I’ve also included some miscellaneous posts which help you to develop you overall social media strategy. Instagram has added some features in their platform keeping security & privacy of users in mind. They are also introducing new feature to save posts like Facebook. 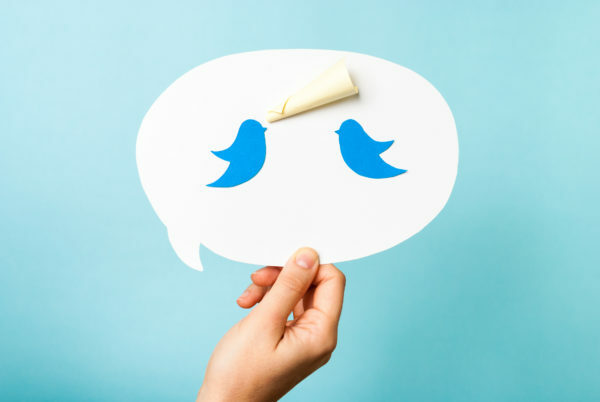 For a business, few things advance its Twitter marketing goals than the spread of content. This is why actively engaging with other users relevant to your Twitter marketing goals is the best way to get noticed and make meaningful connections on Twitter. If you know us at all, you know we love Twitter automation. It’s the bee’s knees, the cat’s pajamas, the “bomb dot com” for the younger crowd. One thing we don’t like is the limitations of what you can do with automation. For example, we love the re-queue/recycle feature offered by SocialOomph, Post Planner, and Meet Edgar. Re-queuing simply means recycling a schedule of evergreen tweets so they post in a loop forever. Do you want to improve your Twitter feed? Struggling to come up with ideas for your tweets? 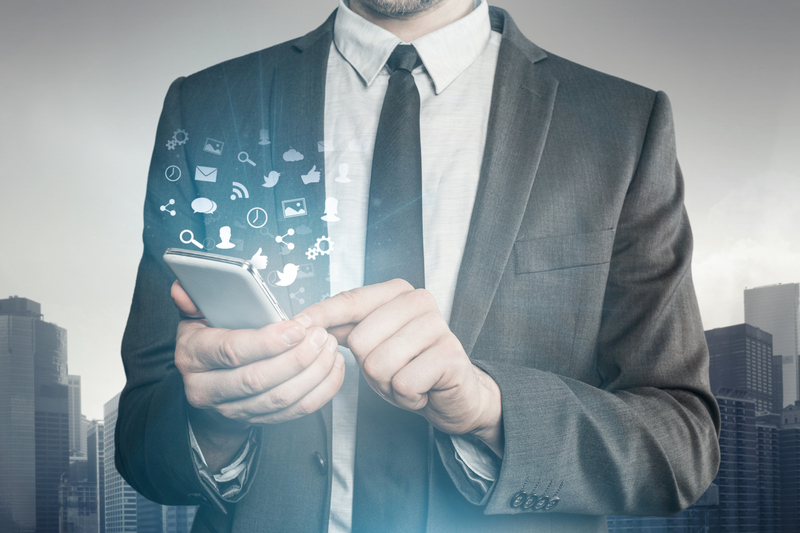 In this article, you’ll discover seven ways your business can tweet. Research is the backbone of any good business decision, so why not ask your Twitter community for their opinion with a Twitter poll? 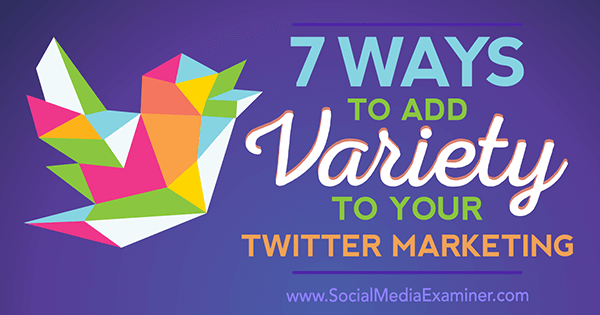 The potential of Twitter ads often gets overlooked due to a number of factors. Firstly, marketers do their best to achieve the traffic on Twitter organically. Secondly, Twitter’s ads are too expensive for many advertisers. And third, the number of platforms is growing, and it often ends up being a choice between Snapchat, Instagram, and Twitter for marketers. These days, a growing number are choosing the first two. Yet Twitter ads have a number of benefits that you can’t get anywhere else. Want to manage your Twitter account like a pro? Unfollow your non followers, inactive users & spam following users with a powerful tool ManageFlitter. I’m also using ManageFlitter to optimize my Twitter account regularly. You can register for ManageFlitter by visiting this page. What makes an Instagram account great these days? The answer is subjective, but in my opinion, there are three things: creativity, consistency and a genuine voice. And I can’t forget: the ability to roll with the platform’s numerous changes, because those changes will keep coming. Instagram has today added a new option which enables users to save posts they might want to view again later. Instagram says users can use the tool to keep track of “a funny video you want to remember, a new outfit you like or even inspiration for an upcoming vacation” – the latter two obviously pointing directly to business opportunities on the platform. Instagram, and parent company Facebook, have been working to evolve their platform in 2016, introducing major changes like a feed algorithm and adding Stories into the mix. In addition to this, Instagram’s also been upping their business appeal – they added brand profiles back in June and have expanded their ad options to help businesses tap into their now 500 million strong user base. One of the most cost effective, yet often overlooked ways to market a startup is through Instagram. Though the platform is largely image-focused and you may think your business doesn’t revolve around photos, chances are you’ll be able to find a way to intertwine the two. If you’re like most startups and have a limited marketing budget, there’s one big reason you should consider Instagram: organic reach. Unlike Facebook where Pages now have reported engagement levels as low as 3%, Instagram still boasts strong engagement across the board, despite implementing their own algorithm. The hard part with Instagram is creating an identity that makes people connect with your company. How are you managing your social media profiles? I’m using Hootsuite to manage all my social media profiles. You can post & schedule all your posts from one single platform to save your time. If you’re still not sure, why not sign up for 30-Days Free Trial by clicking here. While many think of Instagram merely as a popular social channel where people express themselves through creative images (or even a selfie), the platform has actually become a lucrative business for some. We work with a lot of Instagrammers at Webfluential, people who’ve been able to successfully transform their passion for creating into a career via the app. We’ve learned a lot from these creators, and we’ve incorporated all of these learnings into a new infographic which looks at the essential details of how to post, what to post and what performs best on the network. If you’re new to Instagram, or you’re looking to boost your Instagram presence, this infographic is the ultimate guideline to your future posts. You might not have the budget of Nike, but don’t let that limit your Instagram marketing strategy. With these Instagram tips for setting up your account for success and large brand marketing, you’ll come away with some fresh ideas. According to the Q3 Sprout Social Index, 57% of customers are annoyed by too many promotions on social media. And when 41% will unfollow because of a brand sharing irrelevant information, you need to make sure you’re paying attention to your audience. 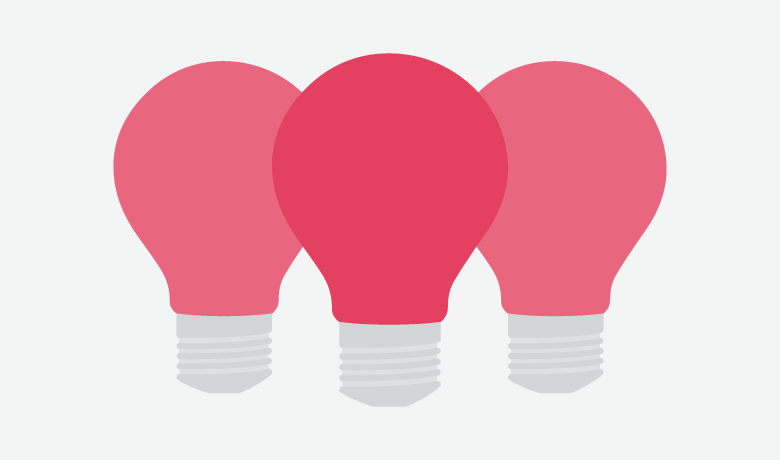 You probably know some people that endlessly brag about acquiring Facebook fans for pennies. Don’t listen to them. A friend of Sal’s asked for help lowering her cost per fan from $2.70. After following Sal’s advice below, her CPF decreased to $0.24-$0.57. What was Sal’s advice? Instead of targeting only one interest, try targeting five to 10: Sal found that the quality and cost per fan will vary for each of the targeting options–that’s why she goes granular. She suggests having only one ad set for each interest (behaviors, education, job title, etc.). Do you track the results of your Facebook campaigns? Are you using the old conversion code that’s about to be phased out? Setting up Facebook’s conversion tracking will let you track your return on investment (ROI) down to the penny. 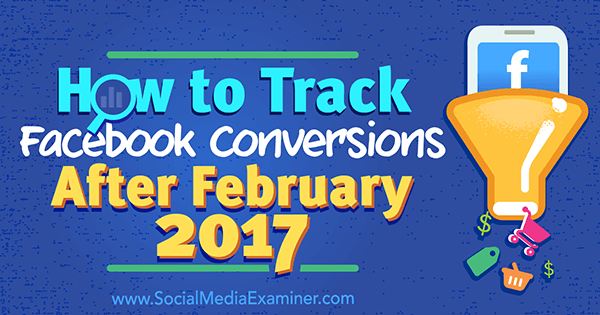 In this article, you’ll discover how to set up and install conversion tracking using the new Facebook pixel. As it continues to add new features and improvements, LinkedIn keeps making it easier for coaches and consultants to win new business on the platform. If you are a business coach or consultant looking to grow your business online, there’s no better place on the planet to be right now than LinkedIn. From giving coaches and consultants a ready-made, inbound lead generation source via its freelance marketplace, to an improved blogging and analytics experience, LinkedIn continues to make it easy to find, engage and connect with potential clients on the platform. Having spent the past few years showing thousands of professionals worldwide how to use LinkedIn to generate new business, I’m seeing more and more coaches and consultants generating some incredible results using the platform. With nearly 500 million members in 200 countries, it’s easy to get lost in the crowd on LinkedIn. The key to standing out and winning new business on the platform is to remember a golden rule of sales and marketing – “the riches are in the niches”. One of the biggest challenges on LinkedIn is how to narrow the field of potential customers you can serve. Some of the most common questions I see around LinkedIn and optimizing the platform for sales relate to your profile headline, with many sales reps and marketers still seeking help to create the perfect buyer-centric summary. 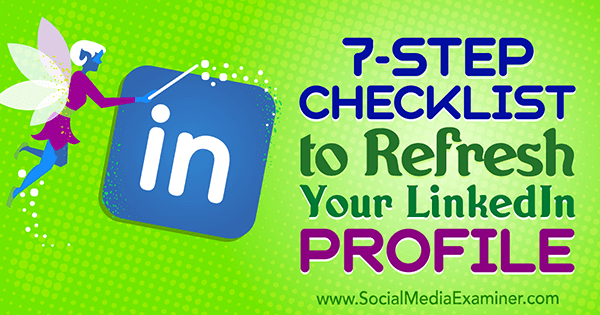 Look no further – in this post, I’ll show you how to maximize your LinkedIn headline with a step-by-step approach that’ll help you attract more interest – and ultimately, clients – via this element. If a party doesn’t have its own custom Snapchat filter, did it even happen? Not according to Snapchat. The filter-friendly OGs launched a jolly new feature this Friday: holiday party filters, for all your celebratory needs. Complete with winter-y borders, yule tide appropriate typography and of course, holiday Bitmojis in your likeness, the app’s on-demand custom geofilter platform has gone into unapologetic, end of year overdrive. Office holiday parties will never be the same again. Snapchat: love it or hate it (or, just don’t understand it), it’s here to stay. Originally released in 2011, Snapchat has evolved from a temporary image-messaging app to a legitimate multimedia platform. Celebrities and brands that were flourishing on Instagram and Twitter are now embracing Snapchat — however intrusive this next level of accessibility may be. So, if you’re wondering how brands can take advantage of the new digital power player, we suggest checking out the following top 6 Snapchat accounts in 2017. 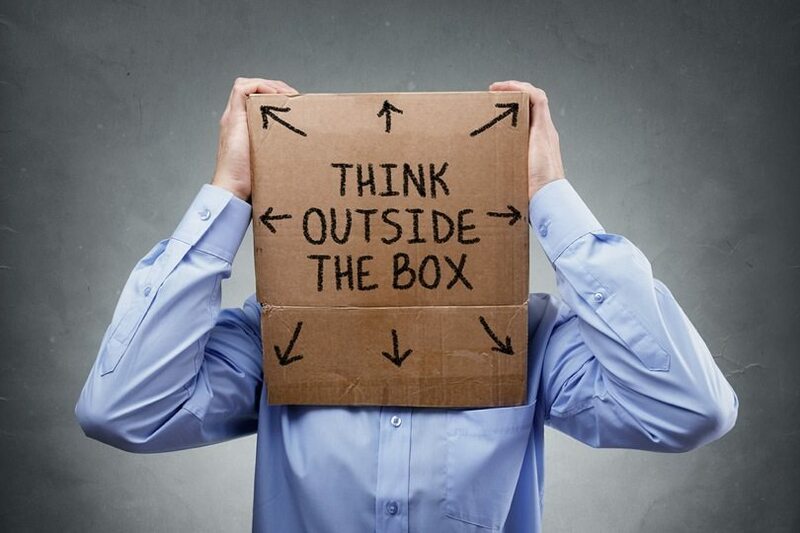 Welcome to the year ahead in the social media marketing. In this article, we’ll try to show you glimpses of what might happen next and prepare you for what lies around the corner in the world of social media. 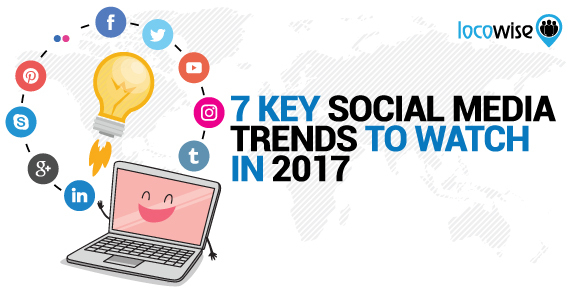 This list is here to inspire you in ways you might want to tweak your social strategy to stay relevant and make your mark in the year 2017. Predictions and forecasts aren’t always right, but we need to try and be aware of all the different shifts happening in the industry and ask ourselves if and how trends may actually affect our brands and the work we’re doing. 2016 was a year of social media and so will be 2017. No business can survive without a strong social presence. From one-man shop to big companies, every organization is competing to attract users’ attention on social media. The ‘me too’ phenomenon has led to a massive competition on social networks. The organic social reach is declining, and ads are becoming expensive. Many traditional small businesses have felt the heat of competition and have started looking out for alternative options that are less crowded and yield better results. At the same time, they can’t miss out the huge audience that major social networks enjoy. Do you know how much time your business spends on social media? According to a survey from Vertical Response, nearly half of small businesses (43%) are spending six or more hours a week on social. That’s almost an entire workday every week – or 312 hours over the course of a year at the low end. Let’s say you’re a startup on a tight budget, so you’re focusing on all the social media yourself. Now, let’s pretend you’re paying a social media manager (yourself) the national median hourly rate of $15 an hour. That means you’re “spending” $4,680 a year if you’re only spending six hours a week. And once you grow to the point where you can easily afford that expense, no problem. But right now, you’re wearing 54 hats, juggling 78 balls in the air, trying to do it all. Even if you’re not a pro when it comes to social media, there are certain caveats you can prevent yourself from falling in. If you’ve been tasked with building up your company’s fan base, engagement and “virality,” don’t panic! And for heaven’s sake, don’t start making blunder after blunder that will see your engagement sink like a stone, your efforts punished, or your audience go unsatisfied or ignored. Here are some of the most common social media mistakes – and how to avoid them. Today I have some social marketing resources to help you improve your reach. Here’s four links with tips and tricks to kick start your Monday. Keeping up with regular posts and tweets can be time intensive, and as we know time is money. Thankfully there are mobile resources available to make your social media management more successful. By tapping into the right apps you can add more efficiency to your schedule and attract a loyal following. 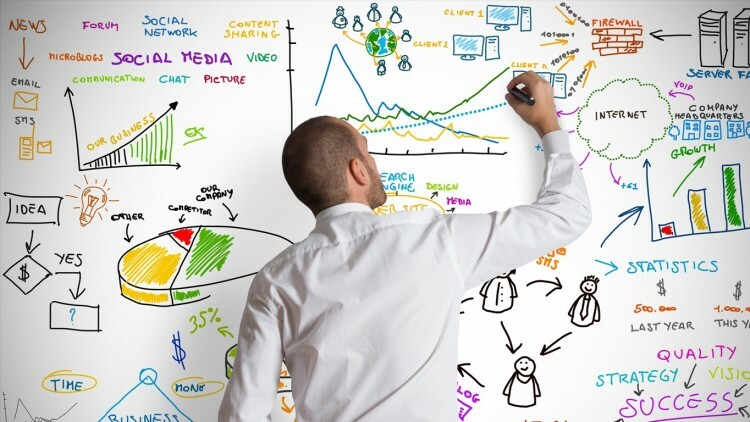 Would you like to improve your marketing online? Take advantage of these apps, and let me know how these work for you! In 2016, the world of social media saw many changes. Video became even more essential, particularly live video, social content publishing platforms were on the rise, forms of social interaction have become even more diversified, among other trends. Moreover, Facebook continued to dominate as the leading social network with more than 1.5 billion users, with messaging apps such as WhatsApp and Facebook Messenger coming in close behind.